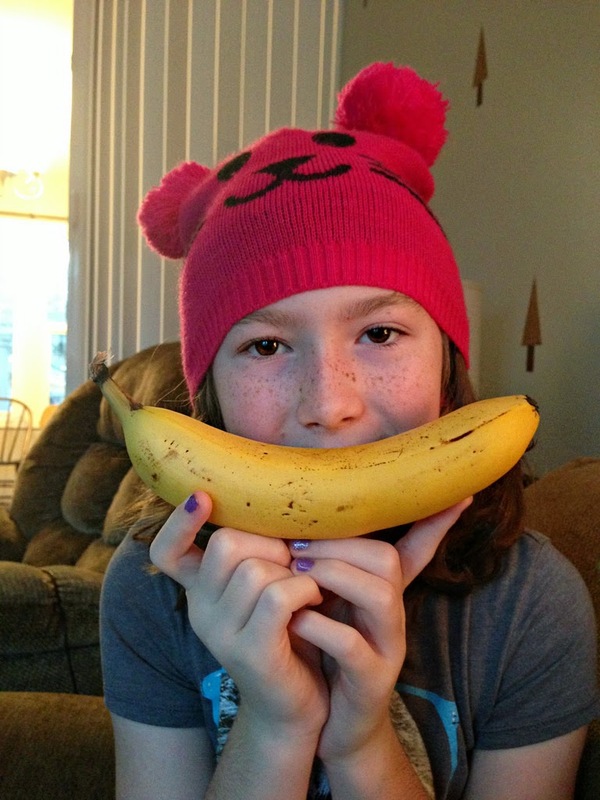 If you follow the WhiMSy love Facebook page, or Instagram feed, you already know about "The Daily Banana". You see, Pazely is obsessed with the word "banana". Lately, she says it all the time. Me: "What do you want for breakfast, Pazely?" Me: "How was your day at school today?" Everything is "banana". She is a little weirdo & I love her. Three days in, I had the idea to ask Pazely if she wanted to turn this into a year-long project. I mean, we were having so much fun doing this, why not? She thought it was a pretty cool idea. Just yesterday, we made this quick 6-second stop-motion video before school. I'm giddy because it gives us a chance to hang out & do something creative together. Anyway, you know how when you get a new car, you start to see that same car everywhere? Or if you get a short hair cut, you notice everyone else's short hair? Stuff like that. Well, let me just tell you something. There are bananas EVERYWHERE. Follow The Daily Banana flickr set HERE.